Children in the United States as a general rule have a lot of toys. I mean a lot. Often more than they can realistically play with. By the time you add in all they toys that you as parents choose for them, that grandparents provide, toys from other relatives, plus from friends at birthday parties, you’re talking quite a number of toys. How on earth are you supposed to keep that even remotely eco friendly? It’s not easy. But with a little discussion with family and friends, and some good choices on your own, you can do it. 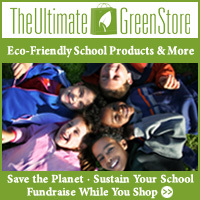 It’s never too soon to start thinking of how eco friendly your children’s toys are. It’s even more important in many ways that you pick eco friendly toys for your baby than it is for your older kids. Who’s more likely to regularly put toys in their mouth, after all? Buy and encourage others to buy toys that are free of phthalates if they must buy plastic. Be open about your preference for wooden and organic toys . If you’re clear about what you’d like to have in your home, many people will listen. There’s only so much you can do about the ones who won’t listen. When it comes to painted toys and jewelry, you’re going to have to think about what’s in that paint too. Standards have gotten stricter for lead content in paint, but cadmium is also an issue. If you have family or friends with kids just a bit older, younger or right around the ages of your children, talk about handing down or trading toys. It’s a great way to keep kids using toys while giving them a fresh assortment regularly. This can be challenging as kids get very attached to certain toys. If you’re doing a trade, beware of kids getting too attached to a toy that you had planned on trading back or to another child. Expect that trading and handing down will work better with some toys than with others. If you can get this started when the kids are young, they are likely to be more matter of fact about handing down toys that they’re bored with. If they’ve never had to do it but you’re suddenly insisting, of course you’ll face resistance. There are many resources to buy used toys. Craigslist, thrift stores, garage sales and eBay are wonderful for getting toys relatively cheaply, and you can’t forget Freecycle for freebies. I bought my kids an old Atari 2600 so that they could play video games, and they’re quite happy with it. No need for a modern system, and the cartridges are really cheap, especially in comparison to more modern gaming systems. Yet the games are highly engaging and loads of fun for the kids and for us. All kinds of toys and games can be acquired used. You will want to be aware of any potential recalls or safety issues. And when your kids are done with them, you can sell the toys off too if they’ve lasted. When you’re thinking eco friendly toys, you cannot forget the plain cardboard box. You may get one when you buy a new appliance or you may have to go to Home Depot to ask them to save a box for you to pick up the next day for your kids. However you manage it, a cardboard box can be made into a great playhouse. Some of the best toys you can get for your kids will be the ones that encourage them to play outside . Kids need to get outdoors more than many do these days. Skates , bicycles , scooters , balls and so forth at appropriate ages encourage a lot of activity. Don’t forget shovels for encouraging them to help you in the garden. You can also take the time to teach your kids to play classic childhood games that don’t require any accessories. Think about tag and hide and go seek. Outdoor play doesn’t need to revolve around a toy at all.